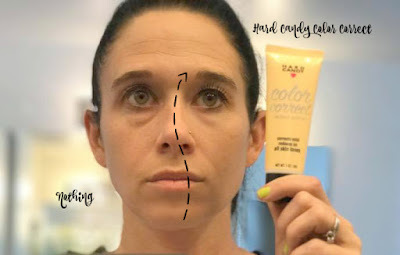 Every woman has facial imperfections! Absolutely no one should classify themselves as having the PERFECT skin or flawless face! Even if we mainly have decent skin, we occasionally get that monthly reminder of things to come! Dark spots, facial blemishes, maybe a scar, discoloration or even redness that we can't seem to get rid of. All products for this review/feature were sent free of charge by the company. I was not offered any monetary compensation by offering my honest opinion about these products. 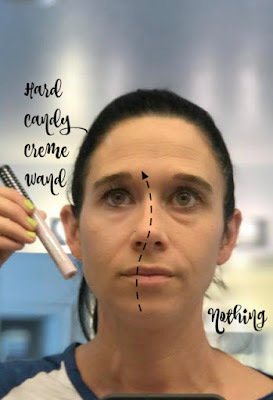 Makeup...makeup that truly works to help conceal and correct, is key! 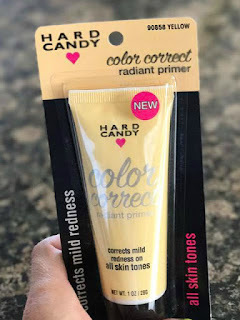 Did you know that HARD CANDY - the makeup line I've been telling you about that is carried at Walmart...now offers a LIMITED EDITION "Color Correct" Line? First, I used the Hard Candy Yello Radiant Primer on 1/2 of my face (the other ones sent were for specific skin tones). This is supposed to help neutralize skin redness, caused by acne or sunburns. My skin tends to be a little redish in color, so I thought this might work perfectly for me. Can you tell the difference? I could see a very slight difference, especially on my nose (where I tend to be redder). This is to be used under your normal makeup to simply help correct skin discolorations (in this case, redness). 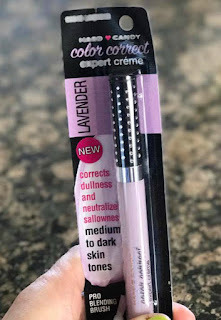 Next up, I tried the Hard Candy Color Correct Creme Wand in Lavendar (for medium to dark skin tones). I'd say my skin tone currently is medium...so I thought this might be perfect. Honestly, it really didn't make much difference to my dark circles under my eye...in my opinion (maybe there is just a slight difference). Although it did cast a lavenarish tone over that side of my face where I continued to blend it into my face. This product is supposed to help neutralize dullness and sallowness. I guess it does that by brightening the face with the lavendar tint? I'm not sure I would use this product on a daily basis...personally, but maybe I used the wrong tone. 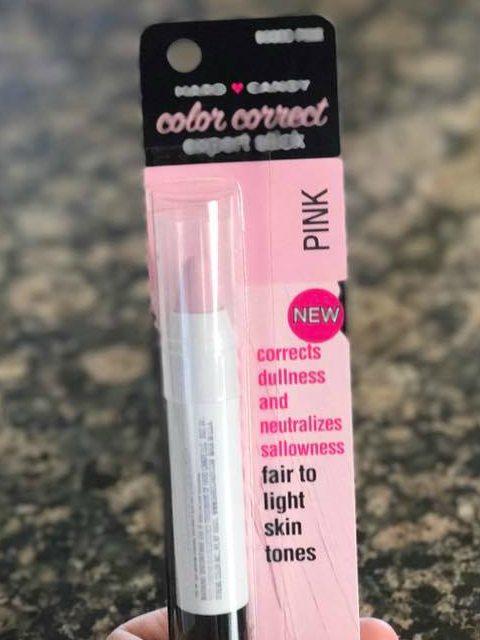 Finally, I tried the Color Correct Expert Stick in Pink, which is meant for fair to light skin tones. I thought that maybe if I used the darker one, I'd have the same issue as I did with the Creme Wand. This Pink tint, really didn't do anything in regardes to conceal my skin imperfections (aka...freckles). This is another product that I probably wouldn't purchase again, personally, but only because it didn't make a drastic difference in the look of my skin. I continued by putting on the rest of my face, mostly eyes, some blush and a little lip gloss and I had a completed face! 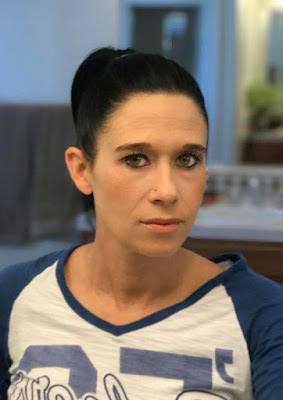 See picture above for my SERIOUS (or not so serious) modeling face! Ha Ha Ha! These COLOR CORRECT products by Hard Candy are available for a limited time only at Walmarts Nationwide...so you may want to check it out and purchase a few (especially if you find you have uneven skin tones or skin imperfections you want to conceal). 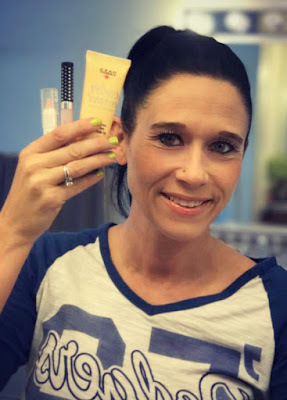 I had fun trying them out and even though I may not consider purchasing more of a couple of the items I tried, it's always fun to test out new makeup products and help you guys learn more too! 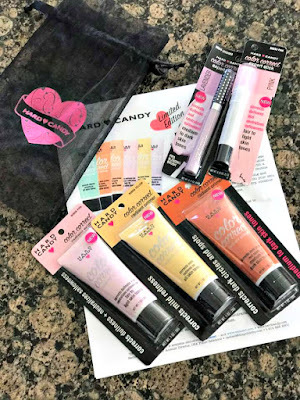 The best part about these Hard Candy products? They are super affordable, at only $5 each, so you can try out new things without breaking the bank!